"Growin' Up" features a story about a gypsy woman, with Bruce singing a line from the Curtis Mayfield tune of that name. "There I was....we were on this dark road, coming home from a show about....three years ago at the Satellite Lounge....it was me and Clarence and Miami and we got this flat tire.... so we pull over....and, like, we´re out in the middle of nowhere, in the middle of the woods, but off in the woods we see this light....so....we decided we were gonna go hustle off through the woods and see what´s over there, see if we can get a hand....so we stomped through the mud and we´re hustling through the woods and there in the middle of the woods....who could believe this, right? ….but right there in the middle of the woods....was this gypsy lady.......so we knock on her door, the sign up on top of her door said ´Gypsy Lady´s´ and we go in....and she says ´Ok, you guys find old gypsy lady, you got three wishes, one wish each´....so Clarence wishes for his 15th white suit....and Steven....Steven, he wished....he wished for Maureen, that´s his girlfriend and, me, I was no dummy, I wasn´t gonna wish for no suit, no girl ….so I thought ´Let me see....my own laundromat at the corner of Cookman and Main, no, not that....a million bucks, no, no, I don´t need a million dollars´....I thought ´Oh, I got it, what I really need is....two good lawyers, no, no ....I said ´Gypsy lady, I wanna be.....I don´t care about nothing else, I just wanna be a rock´n´roller..."
36th Grammy Awards. 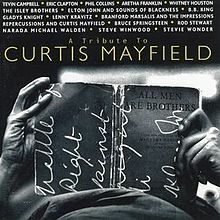 A Curtis Mayfield medley with various artists and Bruce presenting Curtis with a special "Legend" Grammy award. With Steve Cropper, B.B. King, Bonnie Raitt, Vernon Reid, Steve Winwood, Tony! Toni! Toné!, Narada Michael Walden, Don Was, and others. Bruce sings lead on "Gypsy Woman" and takes the first line of "People Get Ready". Mayfield and The Impressions (including Jerry Butler) are onstage for "Amen". PEOPLE GET READY, WOMAN'S GOT SOUL, FREDDIE'S DEAD,LOOK INTO YOUR HEART, GYPSY WOMAN, and IT'S ALL RIGHT. 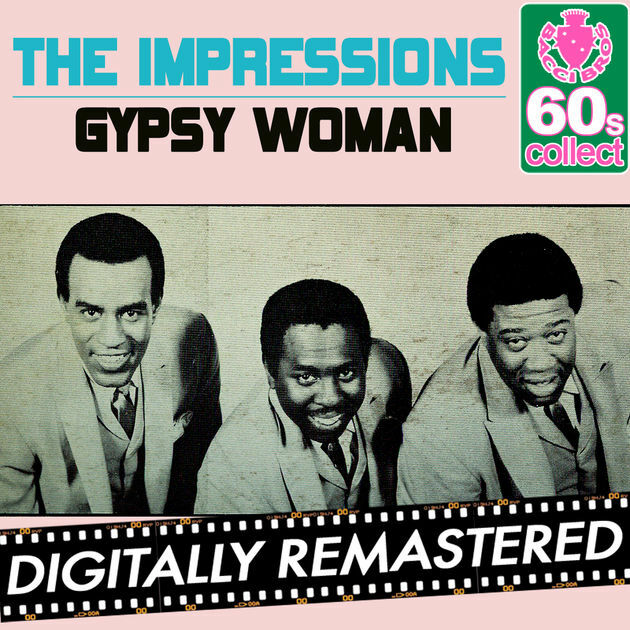 "Gypsy Woman" is a 1961 rhythm and blues song written by Curtis Mayfield and recorded by his group The Impressions. 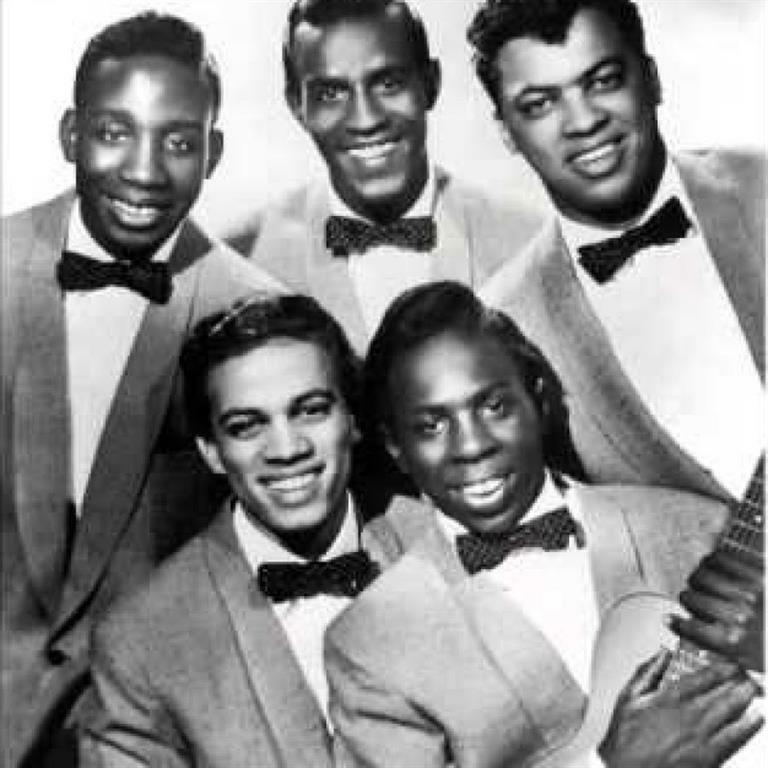 The group's first single following the departure of lead singer Jerry Butler. In 1970, Brian Hyland recorded the hit version of the song, produced by Del Shannon. Hyland's version featured an electric guitar, organ, piano, bass, drums, plus a solo violin, representing the gypsy, which is heard during the bridge section of the song. It became a gold record. In that same year. 01.03.94 Grammy Awards, after "The Curtis Mayfield Medley"
"Curtis, on behalf of all the musicians gathered here on stage and in the audience, we wanna thank you for the lasting soul and the deep beauty of the music that you´ve made… you´ve been an inspiration to all of us and it´s an honor to be up here with you tonight and I´m glad to present you with the Grammy Legend Award, we love you…"
" There's a beautifully socially–conscious soul of Curtis Mayfield and the Impressions, "We're a Winner," keep on pushin'. Just great, great records that just filled the airwaves at a time when you couldn't have needed them more. You just couldn't have needed them more. "A Woman's Got Soul," what a beautiful, beautiful record to women. "It's All Right." It was the sound track of the Civil Rights Movement. And it was here, amongst these great African–American artists, that I learned my craft. You learned how to write. You learned how to arrange. You learned what mattered and what didn't. You learned what a great production sounds like. You learned how to lead a band. You learned how to front a band. "